While mobile payments continue to proliferate, a new startup is examining the use of biometric payments. PayTango, created by four students from Carnegie Mellon University, promises quick and easy payments through using fingerprints to identify and authenticate transactions. Soon-to-graduate students Brian Groudan, Kelly Lau-Kee, Umang Patel and Christian Reyes came up with the idea through their experience in human-computer interaction and information systems and came up with the idea to build a credit card reader that accepts fingerprints but also has a swiping capability, according to a TechCrunch report. PayTango feels its system is ideal for high-density areas, such as college campuses, and would be an attractive method of payment for consumers who have regular hangouts. The system could also be well-suited for systems where it’s important to facilitate quick check-ins, such as a gym. The system claims to be able to process transactions in less than six seconds. 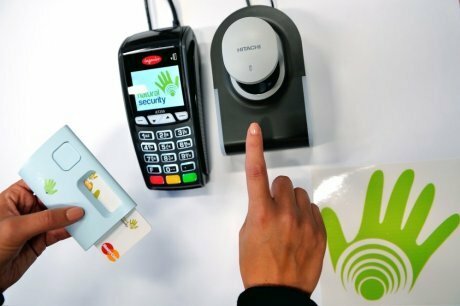 PayTango’s prototype incorporates a fingerprint scanner with a credit card reader and plugs directly into a merchant’s existing POS terminal and software. PayTango eliminated the need for a separate registration process by adding the capability to recognize if someone is in the system when they use the terminal. Users not in the system can sign up for the system the first time they use it to make a payment. To register, they place their index and middle fingers on the fingerprint scanner and then swipe a credit card that will be associated with those fingerprints. The consumer then inputs their cell phone number to complete registration. Once in the system, the consumer can then make their payments by scanning their index and middle fingers at the same time. PayTango has been conducting a pilot on Carnegie Mellon’s campus, with terminals at three locations. If successful, it hopes to roll out the system on the entire campus. CEO Umang Patel says the company hasn’t yet decided on a business model yet, but it could be leaning toward a monthly subscription fee.